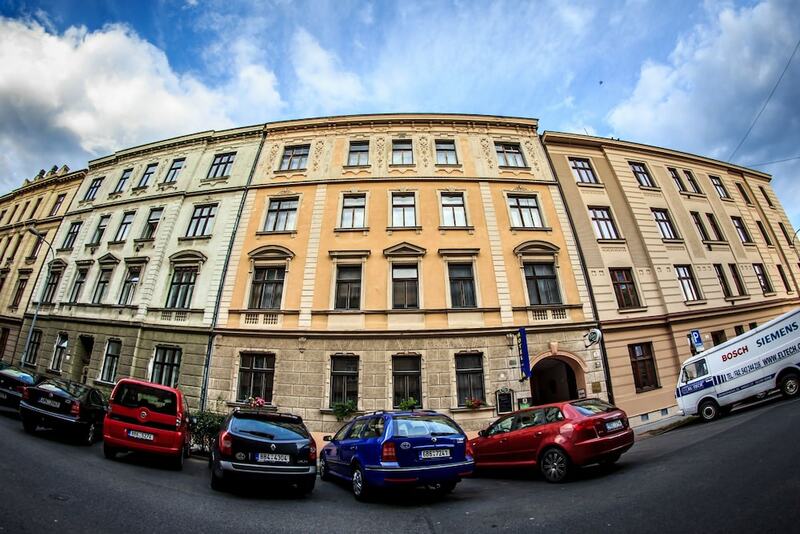 Located in Brno, Hotel Pyramida is within a 10-minute drive of Brno Trade and Fair Centre and Mint Master’s Cellar. This hotel is 1.2 mi (1.9 km) from Cathedral of St. Peter and St. Paul (Katedrala sv Petra a Pavla) and 1.2 mi (2 km) from Zelný trh Underground Labyrinth. Make yourself at home in one of the 23 guestrooms. Complimentary wireless Internet access is available to keep you connected. Bathrooms have showers and complimentary toiletries. Housekeeping is provided daily, and irons/ironing boards can be requested. At Hotel Pyramida, enjoy a satisfying meal at the restaurant. Wrap up your day with a drink at the bar/lounge. A complimentary full breakfast is served on weekdays from 7:30 AM to 9:30 AM and on weekends from 8 AM to 9:30 AM.